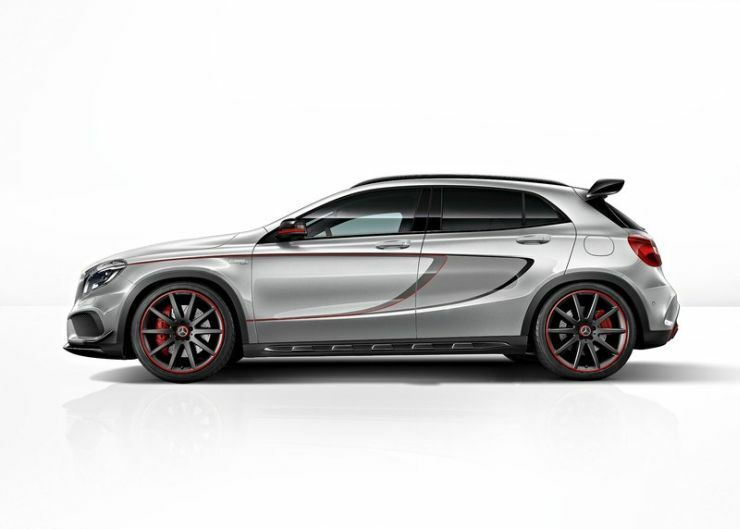 Mercedes Benz to follow up CLA AMG sportscar launch with the GLA AMG? 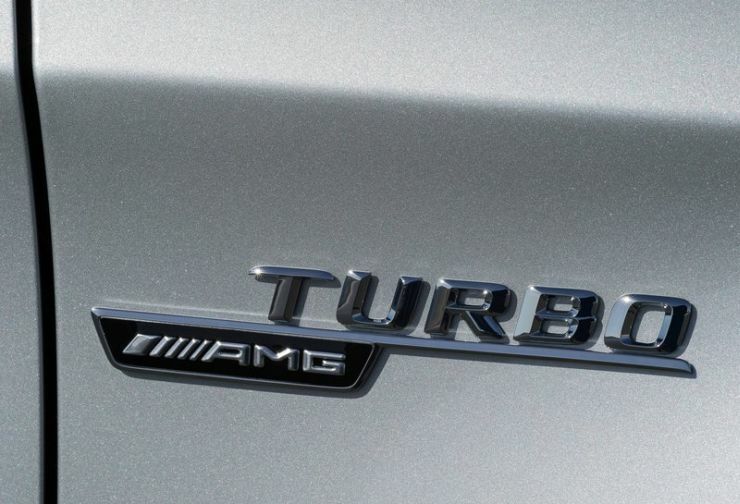 It is raining Mercedes Benz’s AMG high performance cars in India. After the launch of the GL 63 AMG and the ML 63 AMG SUVs, Mercedes Benz India will keep the AMG flag flying high by following the high performance SUV launches with the CLA 45 AMG sedan, which is billed to be one of the most affordable AMG powered cars to be sold here. 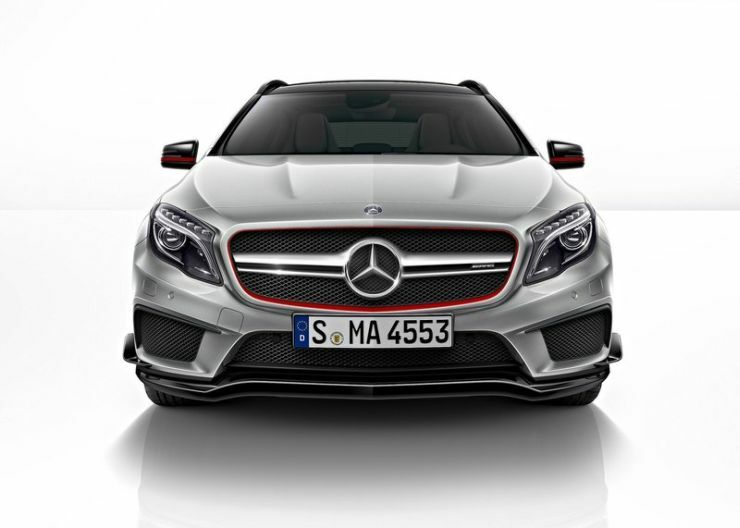 On the 5th of May, 2014, which is barely a week ago, the German luxury car giant imported the GLA 45 AMG SUV into India. The high performance crossover is slated to undergo a homologation process at ARAI, indicating that a launch may well be on the cards in the months to come. Notably, Mercedes Benz will launch the GLA Crossover later this year, as its offering to take on the likes of the Audi Q3 and the BMW X1. The GLA crossover, based on Mercedes Benz Modular Front Architecture (MFA) is a car from the “affordable luxury” line up. In India, the crossover will be sold with turbo petrol and turbo diesel engine options. The GLA crossover is likely to make its debut during the Indian festive season, that kicks off in August, going all the way up to the end of October. 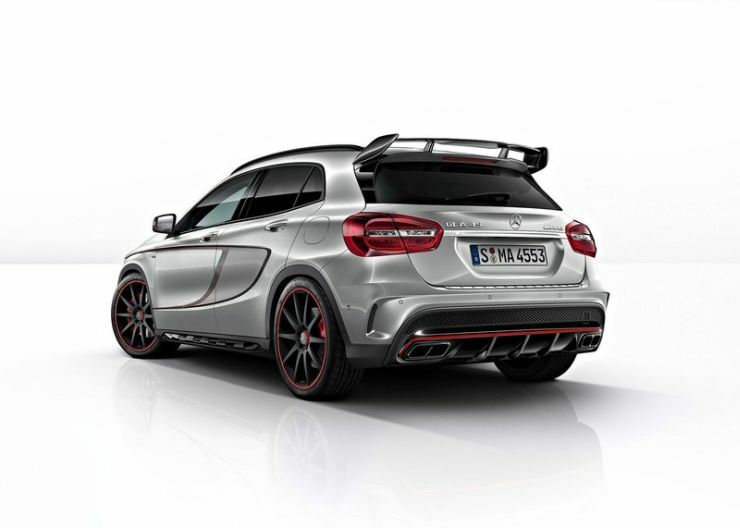 An interesting addition to the GLA range could be the GLA 45 AMG, which is a high performance version of the crossover, powered by the same turbo petrol engine that is also found on the CLA 45 AMG. 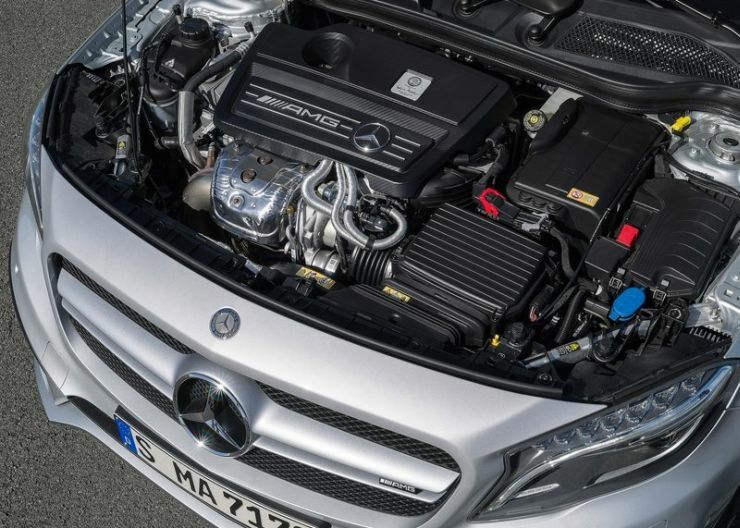 The 2 liter-4 cylinder turbo petrol engine of the GLA 45 AMG is the world’s most powerful 2 liter motor, with a rated output of 360 Bhp-450 Nm. 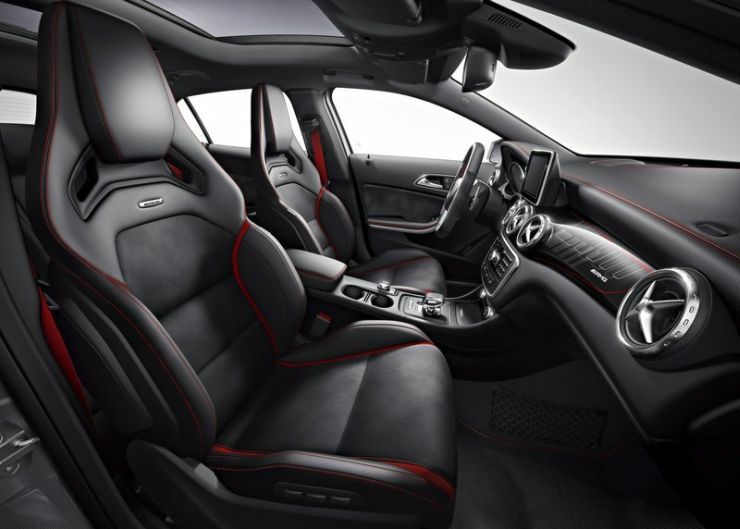 A 7 speed dual clutch automatic gearbox transmits torque to all four wheels of the GLA 45 AMG by means of a 4MATIC all wheel drive system. Mercedes Benz claims a 0-100 Kph sprint timing of 4.8 seconds and an electronically limited top speed of 250 Kph. Additionally, the claimed mileage of over 13 Kmpl for the GLA 45 AMG is quite outstanding to say the least, considering the kind of performance on tap. 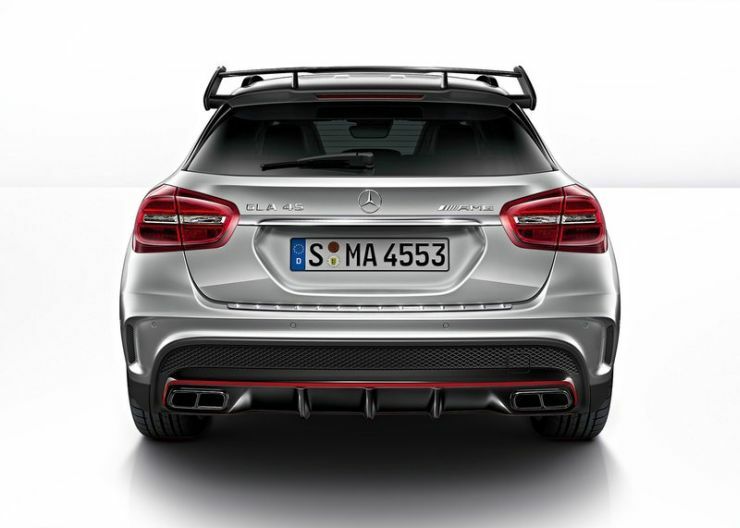 Apart from the powerful turbo petrol engine and the AMG tuned suspension, the GLA 45 AMG also gets revised body work in line with other AMG cars. The car also features reworked interiors that carry the sporty quotient of the crossover right to the driver’s seat. 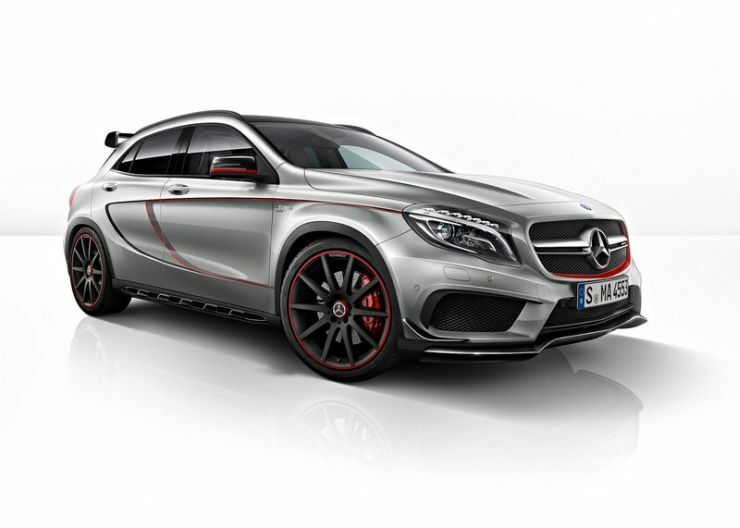 Expect the GLA 45 AMG to retail at over 60 lakh rupees, when it goes on sale in India. The crossover will be imported through the CBU (completely built unit) route.